It smelled like it did twenty-three years ago—stagnant moisture combined with diluted soil and grass. The familiar scent enveloped me like a tiny cloud as I knelt in Mom’s closet, using a chalky razor blade to slice across a seam in the Sheetrock. It was the same joint my dad cut through when I was seven, and I can still picture him pulling back the crumbling fragments of wall with a hammer and crowbar. This is the second time my childhood home has flooded. The first in 1994; the second by the recent Hurricane Harvey. The house still bears the physical marks of one trauma, even as we are cleaning up from another. Last month, a Pittsburgh radio station asked me to come on the air and talk about the flooding in Houston. “Will the city ever be the same after Hurricane Harvey?” one host asked. A good question. I paused for a moment and thought about cutting through my mom’s walls. Many lost not only their homes, but all physical connections to the past. Photos. Heirlooms. Wedding China that no one uses, but can’t be thrown away. People can move forward, but they can never go back. Over the past few years, I’ve been more and more convinced that part of being a kind human being, and loving others in the way God calls us to love them, is telling people who’ve experienced great pain that they will never be the same. 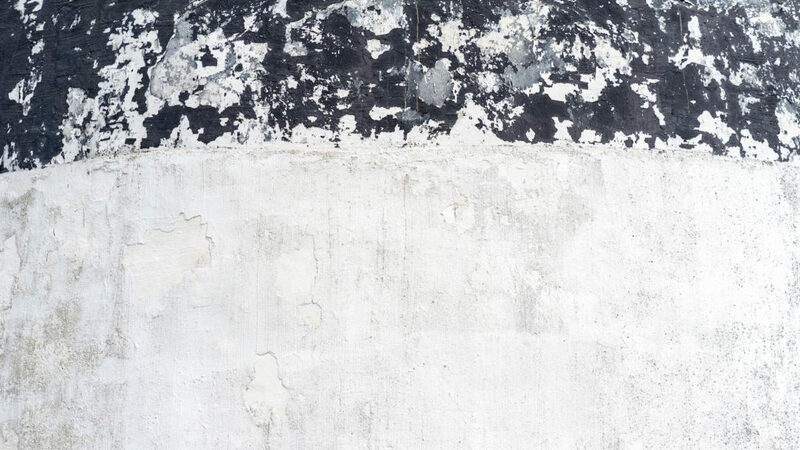 The scars of a traumatic experience, like the one’s in Mom’s closet, will always be there. And, that’s not un-spiritual. In Sunday School as a child, I remember learning about a man so upright that God allowed him to suffer. You probably know the story, too. A Bible character named Job possessed all he needed for The Ancient Good Life. Land, cattle, family, etc. Then one day, it all disappeared. Using flannelgraphs and large hand gestures, our teachers would tell us that after Job passed through his intense suffering—physical pain, emotional loss, and the death of his children—he ended up better off. “And the Lord gave Job twice as much as he had before” (Job 42:10), they quoted. “Yes, but what about his original children?” If this happened to my parents, I’d be the one dead. You’re saying they could just replace me and life would be fine again? You see, suffering in the Bible is much more mysterious and challenging than we’d like to believe. Sure, in this narrative Job exited with more possessions than he started with, but he lost his kids. They couldn’t be “replaced.” He would never hold them again in this life. Job’s story illustrates a powerful lesson: sometimes suffering cuts in ways that keep us from ever fully recovering. This truth isn’t to say that we will remain dysfunctional our entire lives, but it does mean that sometimes bad things happen, and we will carry that pain—dull or not—everywhere we go. In our enthusiasm for Christian joy and promise, the church can often make people feel like they must heal completely, or they aren’t healed at all. But that’s not how life works. Sometimes, we’re cut so deep—whether it’s through divorce, death, or separation—that there will always be scars. Sometimes, the slashes press further, and we walk with a hitch for the remainder of our days. Odds are, you probably didn’t get hit by Hurricane Harvey or Maria and whatever the next one will be. But maybe you’ve experienced another type of hurricane. Maybe someone close to you has. Being a “good” follower of Jesus is not synonymous with a plastered smile and the deception that all pain can eventually be expunged in this life. It means acknowledging our weakness, our brokenness, and realizing our need for the strength outside of ourselves. In our culture of self-rule, and its calls to find our best life today, suffering doesn’t have a purpose. It’s a roadblock to feeling comfortable—which is the ultimate goal for the modern person. Pain then, becomes something that must be avoided at all costs. We must get over it. As a whole, we celebrate the winners, and offer either disdain or disregard toward those walking with emotional crutches. But the Christian story is one that flips this notion inside out. You see, our King is a King with scars. We should pursue healing. We should not let pain, save for the pain and victory of Christ, define us. Yet, we also know that life is hard and that while we await resurrection, we will experience chronic troubles that burden our hearts. Normally, we look to those with great testimonies as our spiritual champions, our heroes. They are the conquerors. They are the self-actualized. But what if this focus misses our greatest protagonists? 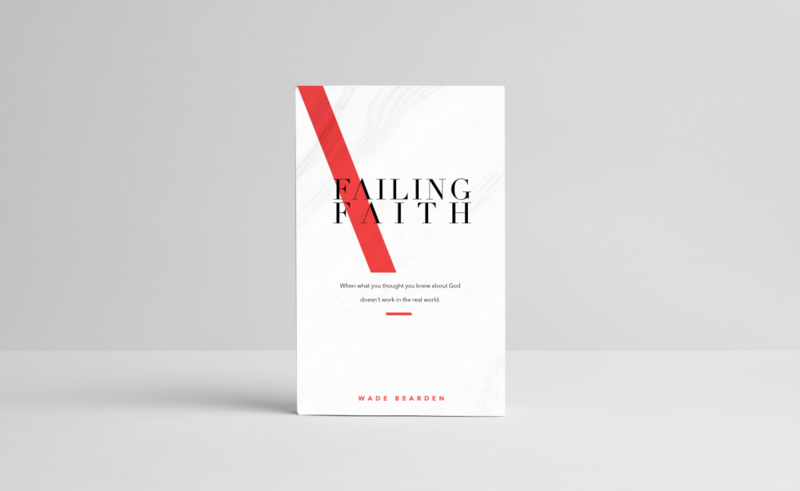 What if, the great heroes of our faith aren’t just the ones who see great miracles, but also the ones who experience great losses? Yes, those whose prayer isn’t answered, and yet they still partake in communion each week. Those who get out of bed when there doesn’t seem like much to get out of bed for. Those who love with abandon even when they are fearful of loss. Those are the spiritual giants who can weather hurricanes. Tell me more about them. Interested in this topic? 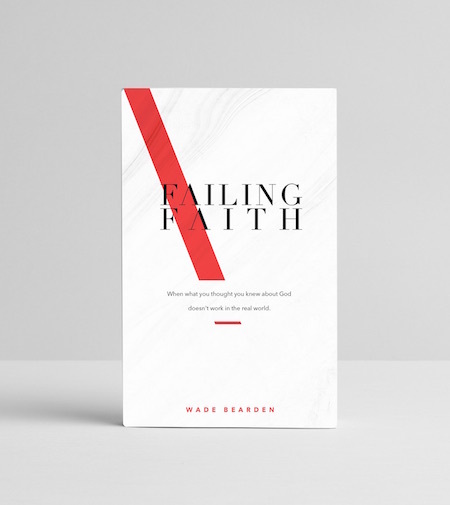 Check out my new book, Failing Faith—now available for purchase on Amazon.